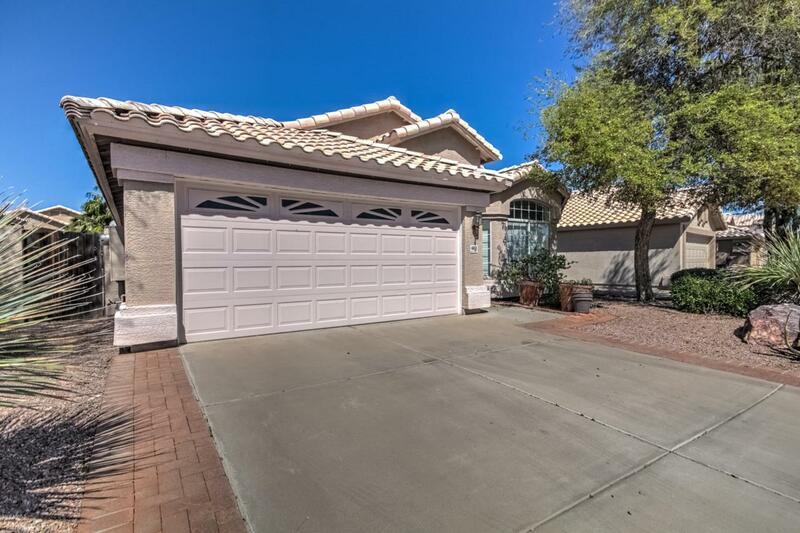 Great 3 bed/2 bath single level home in sought after Ahwatukee location! 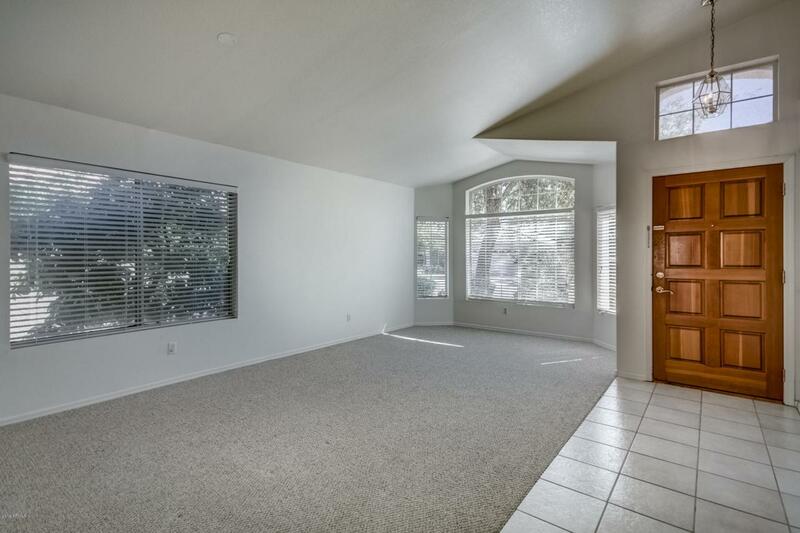 Bright & open w/ vaulted ceilings, light paint & neutral tile & carpet. 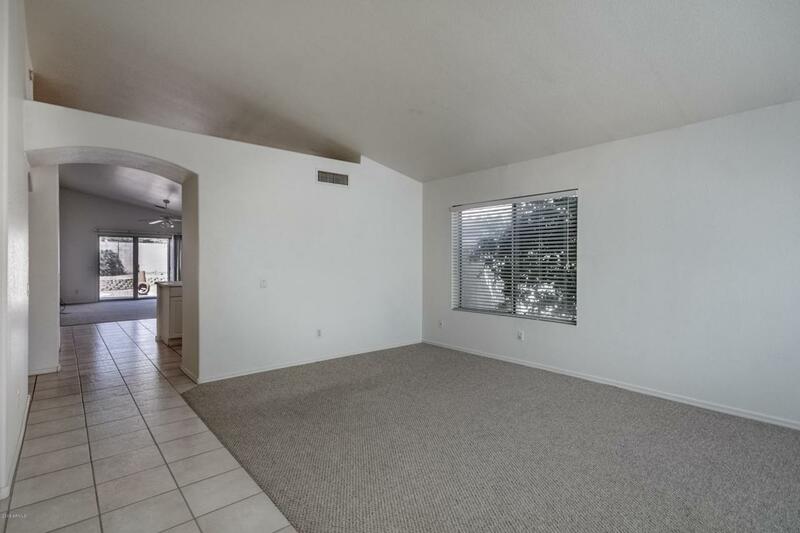 Crisp, white kitchen has plenty of cabinet space, as well as large pantry & island. 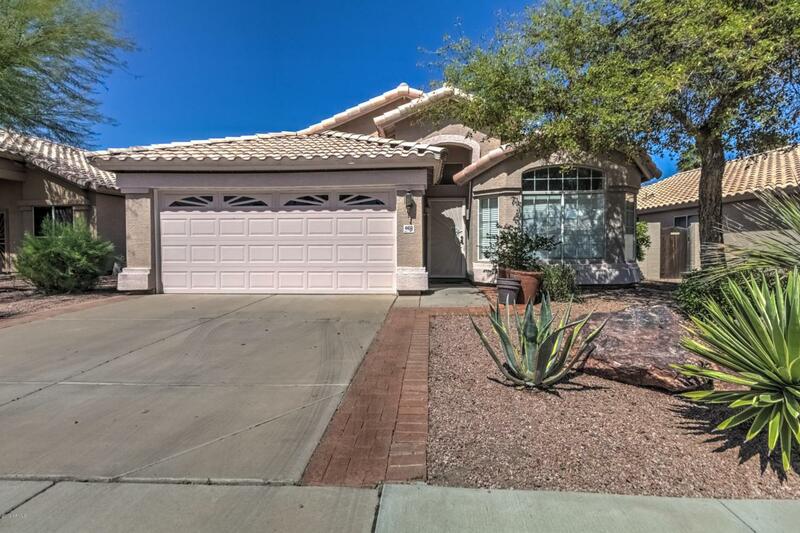 Spacious master w/ vaulted ceilings & bay windows looking into back yard & master bath w/ dual sinks, seated vanity area, soaking tub, glass shower, private toilet & walk-in closet w/ built-in shelving. Inside laundry room w/ storage shelves is a huge plus. Delightful, easy to maintain backyard offers large patio w/ extended flagstone area perfect for table & chairs w/ umbrella for outdoor dining or could make a fabulous fire pit area. Perfectly placed tress/shrubs & raised planter along back wall.